Please see our store policies regarding turn around time for made to order items. 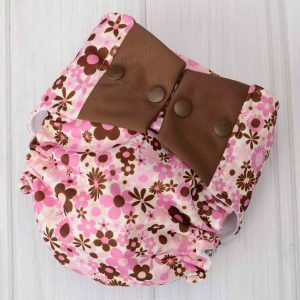 Our one size cloth diapers are perfect for your growing baby. 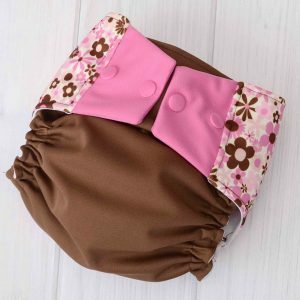 These diaper covers fit from approximately 8-35 pounds and are designed to grow with your baby from birth through potty training. 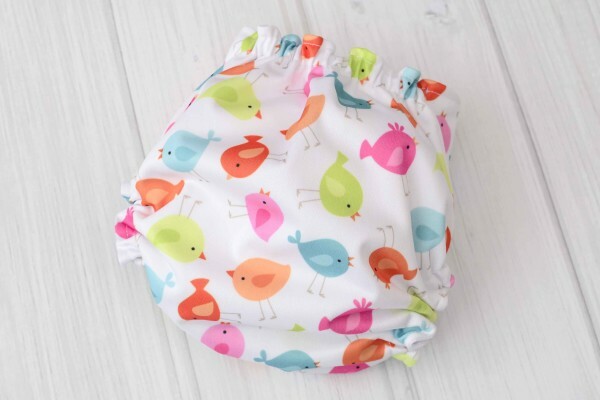 One size diaper cover fits babies from approximately 8-35 pounds. 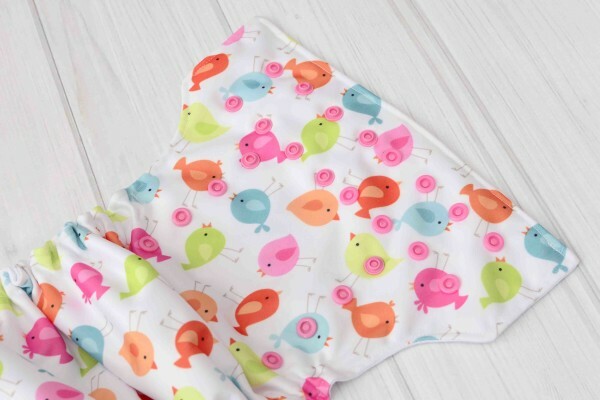 Made with a colorful birds print waterproof PUL fabric. The diaper cover is lined with white athletic wicking jersey, a stain resistant material that also pulls moisture away from the skin to keep your baby feeling dry. 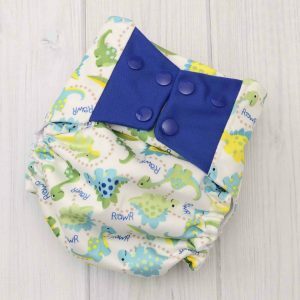 Diaper fastens with snaps and has adjustable rise snaps to get the perfect fit on your baby. Snug fitting leg and waist elastic helps contain messes and blowouts. Absorbent inserts are sold separately, giving you the option to use your own inserts or add one of ours to your order. Diaper inserts can be found here. Click below to get free shipping on your first order and be the first to hear about new products, exclusive discounts, and giveaways.